Tall and powerful, this waterproof and insulated boot features a full-grain leather upper, vulcanized rubber, bungee and lace closure and wrapped leather heel to ensure your feet stay dry, warm and protected while you walk the talk in all conditions. 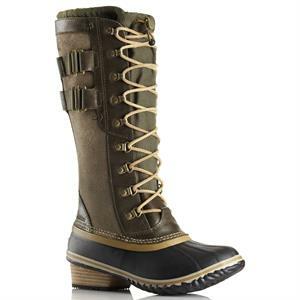 Taking cues from SOREL®’s iconic Conquest Boot, it’s equal parts rugged and sophisticated. UPPER: Waterproof full-grain leather, suede, and canvas upper. Seam-sealed waterproof construction. Full length gusset construction with bungee and lace closure for customized fit. INSULATION: Jersey lining with 100g insulation. Measurements based on size 7.Tall and powerful, this waterproof and insulated boot features a full-grain leather upper, vulcanized rubber, bungee and lace closure and wrapped leather heel to ensure your feet stay dry, warm and protected while you walk the talk in all conditions. Taking cues from SOREL’s iconic Conquest Boot, it’s equal parts rugged and sophisticated. Tall and powerful, this waterproof and insulated boot features a full-grain leather upper, vulcanized rubber, bungee and lace closure and wrapped leather heel to ensure your feet stay dry, warm and protected while you walk the talk in all conditions. 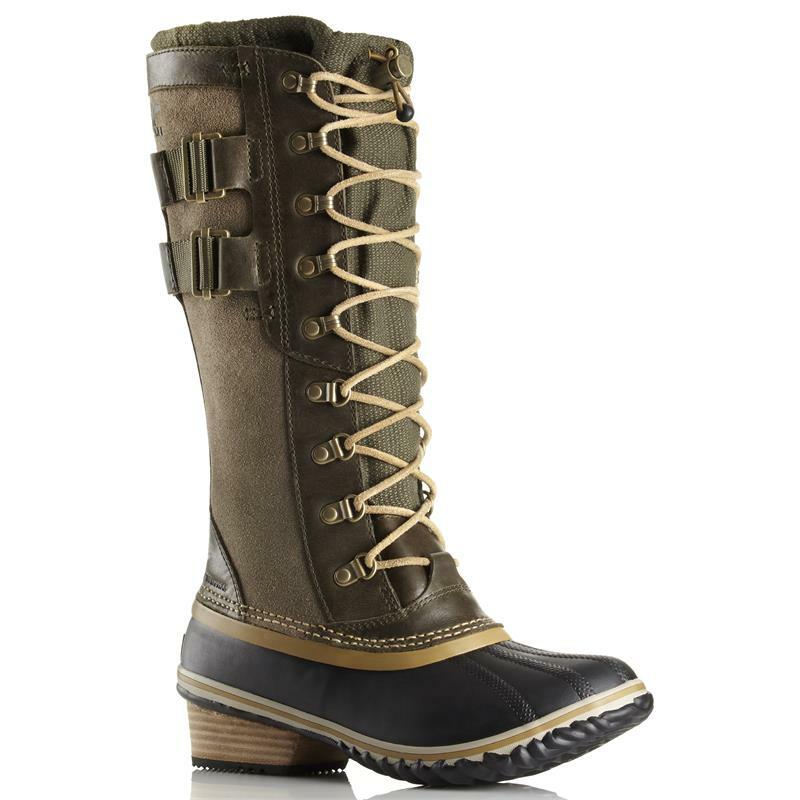 Taking cues from SOREL’s iconic Conquest Boot, it’s equal parts rugged and sophisticated. Shaft Height: 13 in. Heel Height: 1 1/2 in. Platform Height: 1/4 in. Calf Circumference: 15 in. Weight: 25 oz / 708 g.